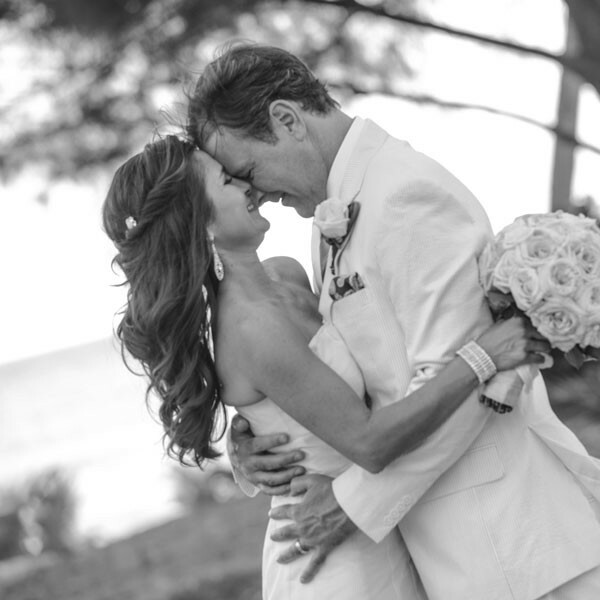 "Jackie was referred to us, and came highly recommended by our wedding planner, Solange Alfaro at Celebrations. From the first email communication I sent and received from Jackie, I knew I had found the right stylist! Planning a wedding long-distance isn't easy, so when Jackie's email replies to my inquiries were timely, I knew I had nothing to worry about. 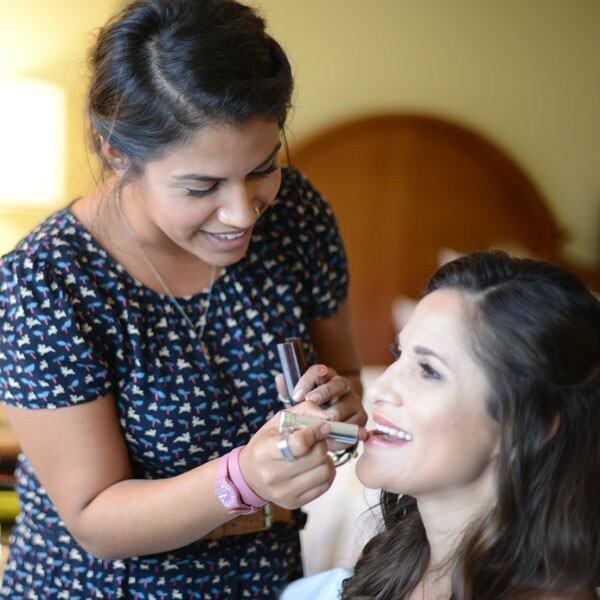 She showed up on time to our hotel room and set the stage for a fantastic hair and make-up experience. She truly is an artist and took advantage of my greatest assets and made me look and feel like the princess I wanted to be. Jackie's expert touch with my niece's hair and make-up was equally impressive. My mom and future mother-in-law were also in the room and having Jackie present was like having extended family in the room. I remember thinking of how calm and patient Jackie was amongst the buzz and chaos going on around her, with family, two photographers and a wedding planner in the room. Jackie, thank you for making me the part for my wedding photos. You're an angel!"